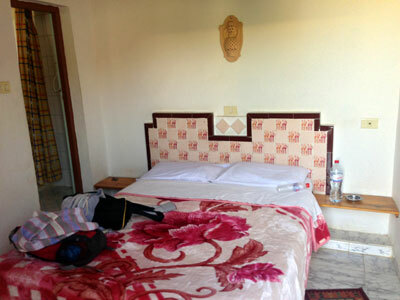 Rent a car: There are quite a few car rental companies in Tozeur and the prices range from TND 50-300 a day. And depending on the company, they may charge extra for insurance on the car. 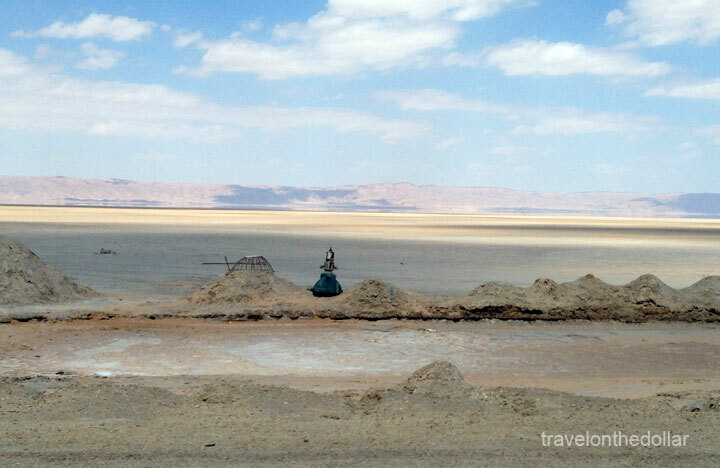 You can then drive to Douz via Chott El-Jerid. But this is the least likely option for anyone because dropping off your car at Douz might not be possible because not many rental companies have offices there, especially the local ones. 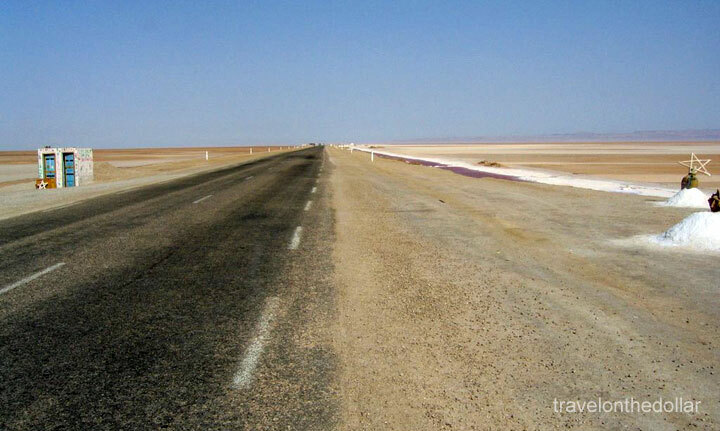 Tour companies: Walk up to any one of the many tour companies in Tozeur and join a bus. Rates may be varied. Private taxi: Your hotel can arrange for a jeep (4×4 as it’s called) or a taxi which costs about TND 150-250 one way! The advantage of having your own taxi is you can stop in the salt lake for pictures, perhaps even walk around. 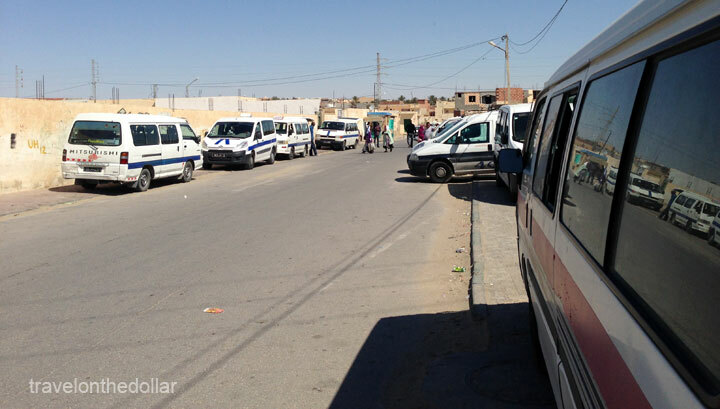 Public Transportation: There are louages and SNTRI buses going to Kebili from Tozeur. It is important to note that neither the buses nor louages go directly to Douz. You must take the one to Kebili and change from there. While the SNTRI buses cannot be reliable as they may not operate if they don’t have enough passengers, the louages come handy, but again the wait time for them to get filled up can sometimes take up to 2 hours. So plan your trip. I was warned by my hotel staff that not many people travel to Kebili so reaching the louage stop early would be wise. And that’s what I did. After stuffing myself with good breakfast at the hotel, I walked up to the louage station at 8am. There was one louage going to Kebili. The worst part was the wait of 3 hours until it got filled! 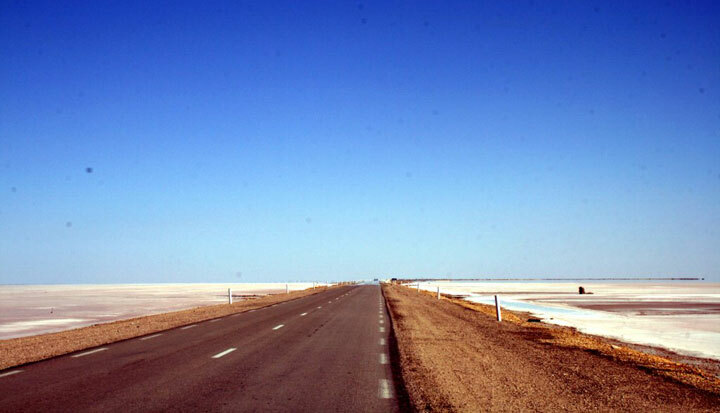 So finally at about 11am, we started off from Tozeur to Kebili via the Chott El-Jerid – a large endorheic salt lake in southern Tunisia. Roughly in the shape of a tadpole, with a width of 20 km (12 mi) at its narrowest point, it reaches 250 km (160 mi) in overall length. At times, parts of it appear in various shades of white, green and purple. The narrow eastward inlet of the chott is also known as Chott el Fejej. 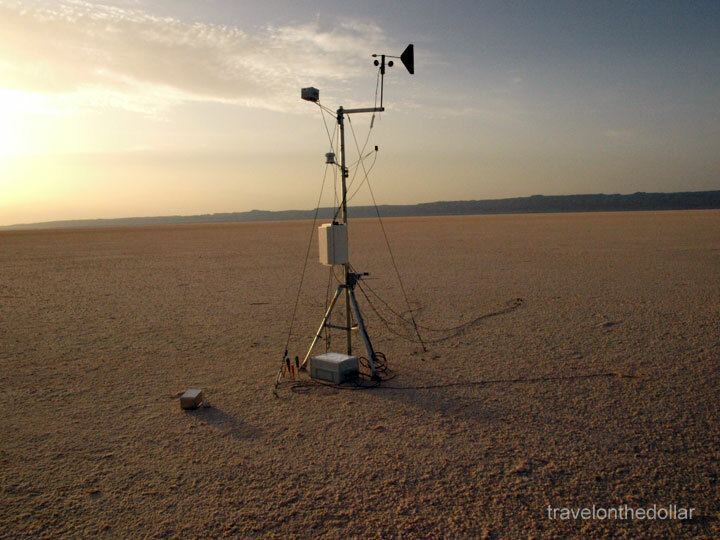 It is the largest salt pan of the Sahara with a surface area of over 7,000 sq.km. It takes about an hour and 30 minutes to reach Kebili and the louage stop from Kebili to Douz is NOT the same as the one that drops you off at Kebili. Walk about three quarters of a kilometer to the post office, and the louage station for Douz is right next to it. I thought of getting the postal stamp of Kebili while I was waiting for the louage to get filled. Luckily for me, it didn’t take long before we were off to the 30 minute drive to Douz. The louage station is at the same place as the bus station, and considering how tiny the town is, everything should be about 10-15 minute walk from the bus station. 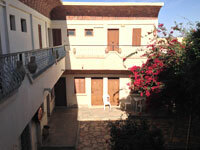 I had booked two nights in Hotel 20 Mars, right next to the souq. Breakfast included: Yes. 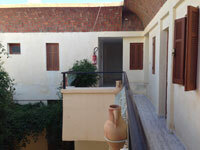 Located in the center of the town, right next to the Souq, this is one of the best options Douz has for accommodations. They have quaint, clean rooms on two levels. I was in room 107, which barely fits two persons. Bathrooms are clean, spacious and has hot water all day. Breakfast is included in the price of TND 18 a night for a single room with bathroom and non-AC. 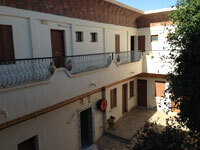 They have rooms with no AC, with AC, private or shared bathroom. Make sure to book early as this is a favorite amongst the backpackers and tourists alike. The hotel has wifi only in the reception area; and it barely connected in the my room 107. The staff spoke English. Right behind the reception area is a tour agency, Nefzoua Voyages, that runs tours to Sahara Desert, Matamata, Tatouine, etc. Having reached Douz in late evening, I decided to wander around the miniature Souq for some coffee and souvenirs; and stopped by the post office for a stamp in my book. 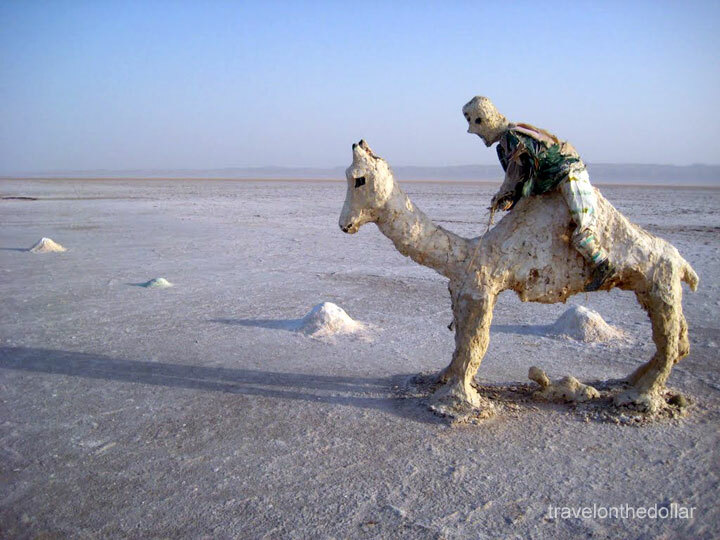 Booked my tours to the Sahara Desert and Matmata with the reception of the hotel for the next day. Strolled to nearby restaurant later in the night for dinner.